Here is a list of best free Currency Converter Software. These freeware prove out to be quite useful when you need to calculate exchange rate of different currencies. Most of these free Currency Calculator converter help you view the latest updated rates for different currencies and are easy to use. All you have to do is just enter the amount that you want to convert, then select the base currency and the currency to which you want the exchange rate for. Based on the amount entered and the exchange rates, the converted amount is displayed. These freeware update exchange rates automatically from various data sources from internet, like Google, Yahoo, and various banks. Some of these software to convert currency also let you update conversion rates manually, in case exchange rates are not updated. Some of these exchange rate calculator software are dedicated currency converter, some are mathematical calculators with this feature, and some are unit converters with option for converting currency. The software listed in this article are the best currency converter software and are totally free to use. Continue reading the article to know more about these software to convert currency. You will also get to know how to convert currency with these currency converter freeware. You can also check out the list of Best Free Calculators, Best Free Scientific Calculators, and Online Amortization Schedule Maker. Currency Converter lets you convert currency on Windows for free. It lets you convert currency from all over the world. You just have to select the currencies and enter value to calculate the exchange amount. If you want to work with calculating exchange rates of various currencies, you can save most preferred conversion options to load them whenever you want. A World Currency Cross Rates option is available, where you can set 4 different currencies side by side to compare exchange rates. You can even manually add or remove various currencies to avoid cluttering of unwanted ones. With each currency, its name, ISO name, value, and updated date are displayed. You can select any of the available currencies as Base currency for converting currency easily. A simple click of a button updates the currency values. You can even select from different sources to update data: Pacific Commerce or International Monetary Fund. Currency: Quad-Lock Converter is a good software to calculate currency conversion rate. It can also convert various other units of measurements. Select the Currency option from the Category dropdown. Now, select the currency from which you want to convert and the currency to which you want an amount to be converted. Enter the amount in the box available and view the result instantly. You can set this software to automatically update exchange rate or manually update the rates. Last updated date is displayed on the interface. Access History to view the recently used conversion values. Quick Exchange is a free currency converter which lets you calculate exchange rates from either Yahoo or x-rates.com. Select the From and To currencies, enter the amount to convert, and view the result. Currency rates can be updated whenever wanted. Last update time is displayed on the UI. Convert Center is an easy to use currency converter calculator software. Actually, it is a multi conversion software, which has numerous tools to convert various kind of units to another; one of them being currency converter. To convert currency, click on the Currency button, which opens the window to calculate exchange rate. Here you can select two currencies as To and From. Enter the value which you want to be converted to view the converted rate. The Advanced Mode displays converted exchange rate in some major currencies of the worlds. Use this currency converter software to convert other units as well, such as: Area, Energy, Density, Force, Length, Power, Speed, temperature, Volume, etc. Google Currency Converter is a free product to calculate exchange rate. Its not a Google’s product, but uses Google’s data to update exchange rates. You just have to select the currencies for conversion and enter the amount to convert currency. The exchange data is updated timely. Foreign Exchange Currency Converter provides real time currency exchange data and lets you convert currency. Simply select the currencies and calculate the exchange amount. An option is also provided to go to the online exchange rate calculator. Aquarius Soft PC Currency Calculator can be easily used to convert currency on your computer. The currency values are automatically updated from the internet. Select the currencies to be exchanged, enter the value, and get converted amount in exact figures. CURRENCY CONVERTER EX is another simple exchange rate calculator, which can be updated time to time through internet. 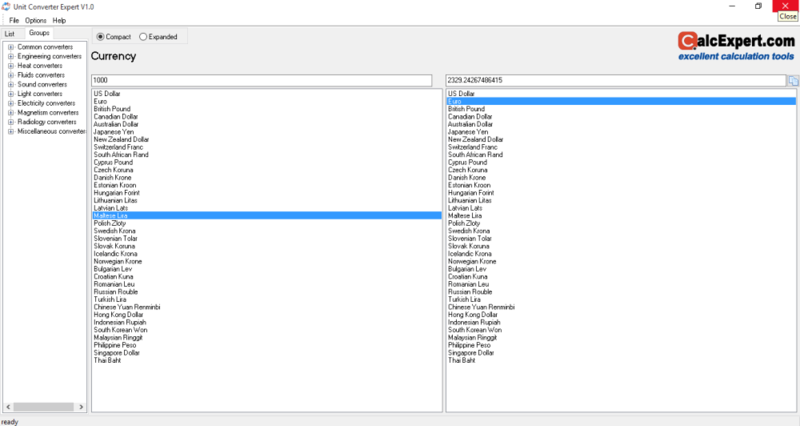 Select the source currency and the target currency from corresponding drop-downs. Then enter the amount that you want to convert. It will immediately show you the converted amount. It shows the converted value upto 6 decimal places. AB-Euro Currency Converter is a simple and lightweight currency converter software which can be used to convert currency of various countries. Just enter the amount to be converted and select the currencies in which you want your currency converted using the drop down menu. A good feature of this software is that it shows the exchange value used on its interface, so that you can see there isn’t any difference between the used exchange value and the one currently available on the internet. The exchange rates are automatically updated from internet. HEXelon MAX is a free scientific calculator, which can be used for converting currency. Go to Tools>Currency Converter or press F7 to access the currency converter. As soon as you open this tool, currency exchange rate data is updated as per National Bank of Poland and European Central Bank. Now, select the currencies from which you want to convert to another, then enter the amount. The exchange rate is displayed on the screen. A Table of Currency is also available, which displays exchange rates of various countries with Country name, currency name, symbol, and rate. Though it is a exchange rate calculator, its main purpose is to carry out scientific calculations and various unit conversion. Alzex Personal Finance is primarily a software to manage personal finances. It also includes a free currency converter tool, which can be quite useful. There’s a Currencies button available; click on it to view currency conversion options. Here you can add a new currency, edit added currency, set a default currency, set currency rates, enable/disable currency, etc. There’s an option to update currency rates from Yahoo Finance or Google Finance. Select the currencies for exchange, enter an amount, and view the converted currency amount. 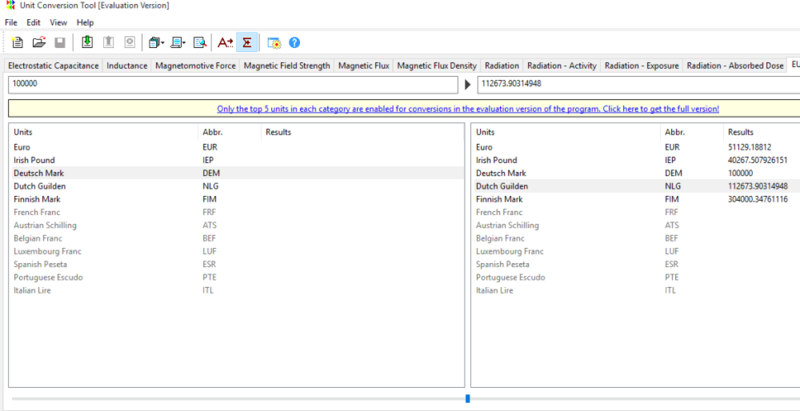 You can also use this freeware to view the rates of different metals, fuels, and other units of measurement. You can maintain your personal accounts by adding wallets, cash, cards, expenses, etc. Microsoft Calculator Plus is a discontinued Microsoft product, but still can be downloaded to be used as calculator and converter. You can easily use it to calculate exchange rate of different currencies. Go to Category>Currencies and select different currencies in the Convert From and Convert To dropdowns. Enter the amount that you want to convert and click on Convert button to view the result. There are options to manage currency conversion parameters. If you want to add a currency, you will have to name it, add a sign, enter exchange value, etc. Latest exchange rates can be updated via. ECB exchange rates. 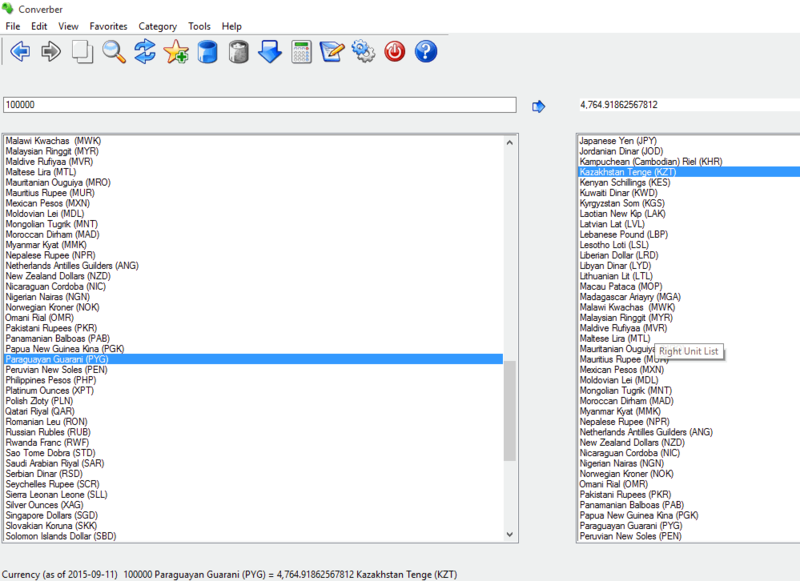 LINGOES is a free language translator software, which includes a currency converter tool. It displays updated currency exchange rates for a number of famous currencies. The currency exchange data is regularly updated from Google Finance. To open currency converter calculator, click on Appendix>Currency Converter. Enter the amount, select the currencies for the exchange and click on Convert. Result will be displayed on the screen. Swap button can be used to interchange to and from currencies and then view the exchange rate. An option is available to take printout of the generated values. 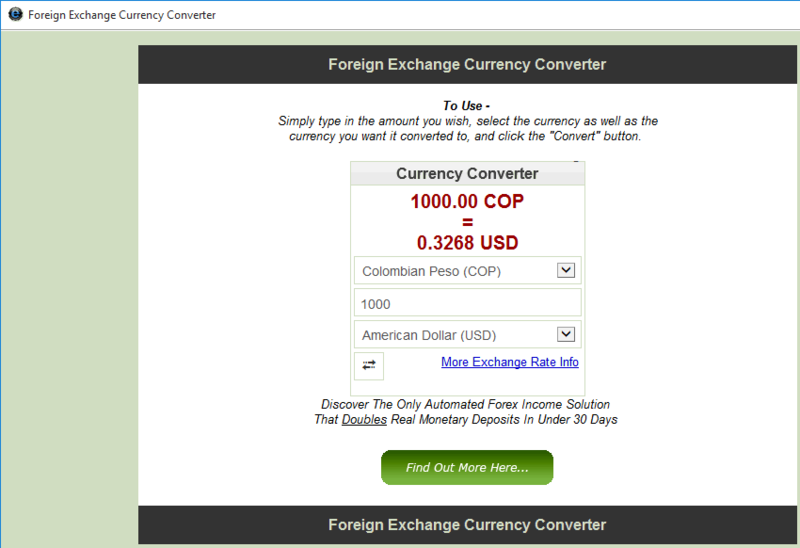 Converber is a multi-converter tool which is useful to convert currency on Windows PC. All conversion options are displayed when you start this software. Select the Currency option from the list of other conversion options. Other conversion options include: Area, Acceleration, Distance, Density, Energy, Force, Mass, power, etc. Select the from and to currency options and enter the amount to be converted to view the result. You can swap the to and from currencies as well. The result can be copied to clipboard. An option to update the exchange rates is also available. You can edit conversion rates manually if you like in this currency converter calculator. worldcalc is a dedicated exchange rate calculator for Windows. Simply select the currencies for conversion and enter the amount. The result is displayed. Update the exchange rate from the internet. The update is done from rates.wc.currencysystem.com. Set the update for auto sync if required. The last update date is displayed on the UI. You can manually edit currency values if you want. Units! is a simple unit conversion tool which also includes currency conversion. Simply select Currencies option from the Category dropdown, then select currencies for conversion. Enter the amount to view the converted value. Update Exchange Rates option is available, which updates the currency values from European Central Bank and New York Fedral Reserve Bank. In this currency converter, various conversion units can be saved as Favorites for easy access. Swap units option is also available. UConvert is a simple and free currency converter software and has other unit conversion options as well. Select the Currency option from Fields of Units. Select the conversion currencies from the Original Unit and Final Unit fields. Enter amount to be converted in Input section and click on Convert to get the result. The exchange rate is also displayed on the interface. Note that there are only 7 currencies available: US Dollar, Euro, Japanese Yen, British Pound, Australian Dollar, Canadian Dollar, and Swiss Franc. You can change conversion values manually if you want. Versaverter is a free conversion tool to convert various units including currency. All the units can be accessed through their respective tabs. Access the Currency tab to select the To and From currencies. Enter the amount into the space provided below to view the conversion result. This currency converter is pretty simple and easy to use. Qonverter is another good conversion tool which is capable of converting currency and other units. Go to View > Currency Converter to access the tool. 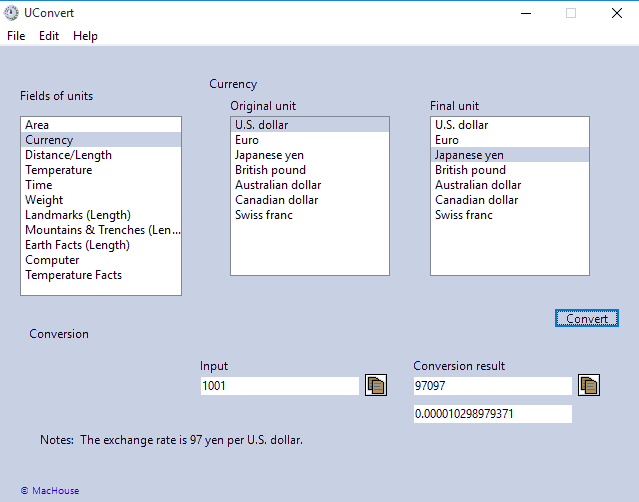 Select input and output currencies, then enter amount to convert in Cash section. Exchange data can be updated from European Central Bank. Unit Conversion Tool is a simple tool to convert units with few EU currencies to calculate exchange rate. Select the EU currency option to calculate value of exchange among Euro, Irish Pound, Deutsche Mark, Dutch Gulden, and Finnish Mark. This is an evaluation version and more currencies can be accessed if you buy the PRO version. Other unit conversion options are also available. Unit Converter Expert is another good unit converter, which can be used as a currency converting software. Simply select the Currency option, then select the currencies to be converted. Enter value of a currency to view the exchanged rate in another selected currency. An option lets you edit currency value as per your choice. Alternate Calculator is a simple calculator which features a free currency converter. Use the listed currencies to calculate currency exchange rate. You also get option to manually add and edit currency. You can set a base currency and calculate values as you wish. This simple currency converter software, EuroCyp Currency Converter only lets you convert Cyprus Pounds to Euro and vice versa. The rates are updated continuously. 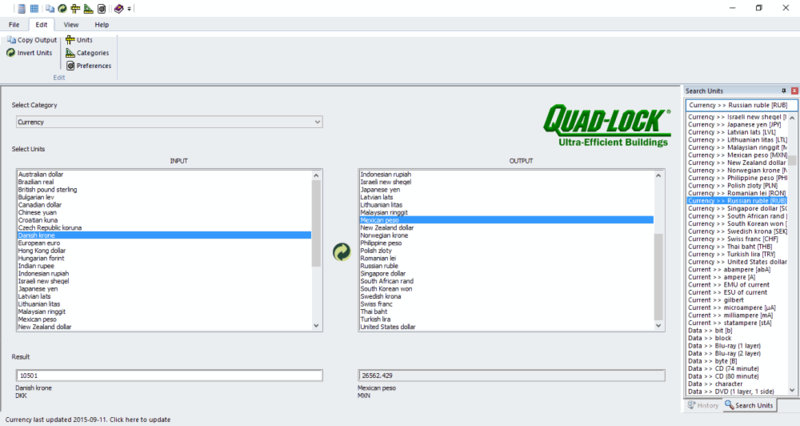 There’s also an option to manually edit values. 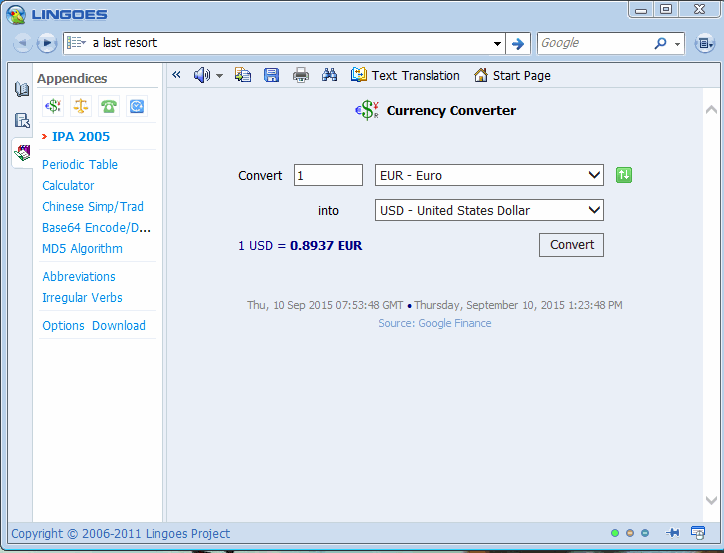 Use EuroConvert for converting currency on your PC. Enter the amount to be calculated for conversion, then select the currencies by clicking on the country’s flag. The converted value is displayed on the UI. CrossGL Surface Calculator is a simple calculator, which can also be used for converting currency. 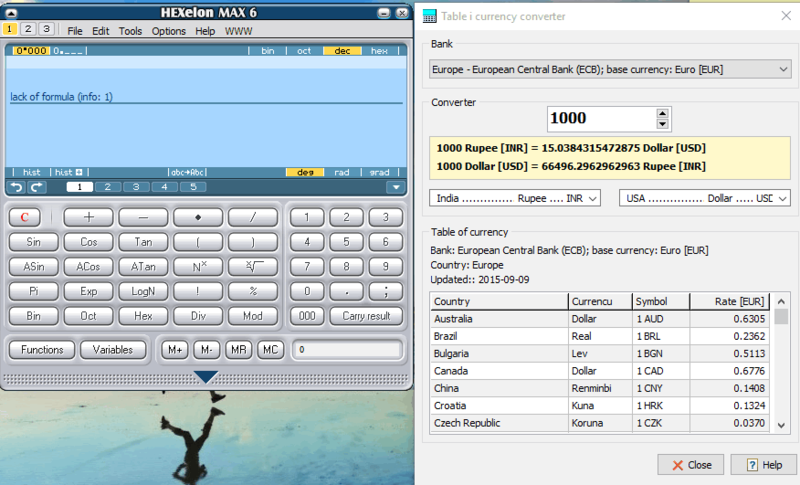 The UI displays a simple calculator; click on the yellow button on the top of the UI to expand the currency converter. Select currencies, swap them, and you can also add a third currency for conversion. The exchange rate of currencies can be changed manually to exact decimal places. 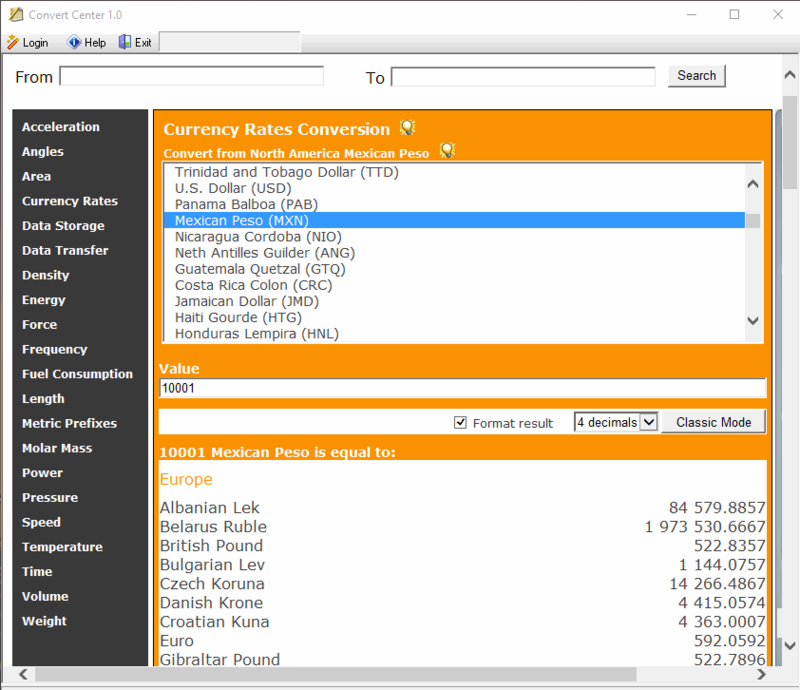 HiCalc is a simple currency converter freeware. Select the currency options and enter the amount to be converted. Based on the latest data, the values of currencies are updated. The data can also be updated manually. Calculator++ is a Java application which can be used as a currency converter. In order to use this exchange rate calculator, you have to select the category option and select the currencies that are to be changed from the drop down menu. Enter the amount that is to be converted and click on the convert button to view the converted amount. This freeware also lets you copy and swap units and values in case you try to find out the reverse rate. Apart from converting currency, this software can also be used as scientific calculator and to convert other units.